Five Round Plates (6 , 10 , 14 , 18 and 22 ) separated by a threaded 5 aluminum rod. Base has a 5 scrolled leg. 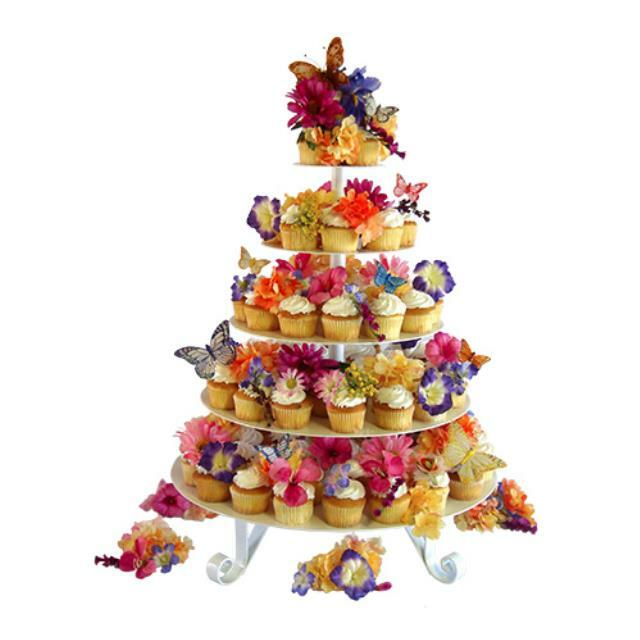 Cupcake Stand is 26" tall.